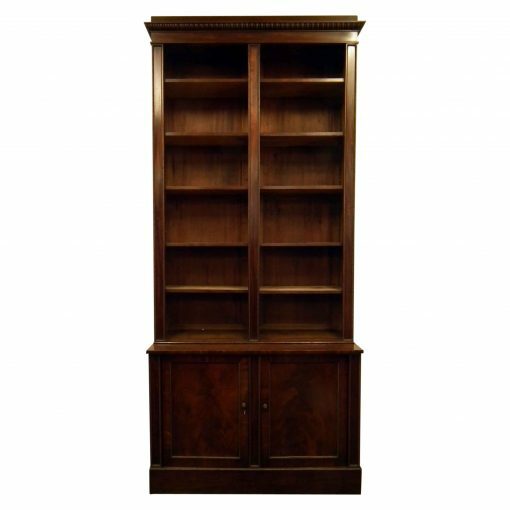 Circa 1815, mahogany open bookcase by William Trotter of Edinburgh. The stylish cornice has a series of egg and dart carving, over a flame mahogany panel which has beaded frame. There are 2 open sections on the top with 5 adjustable shelves on each side. The shelves have flame mahogany veneers on the facings. There are 3 pilasters on the front with the classical Trotter feature of a sunken beaded section. 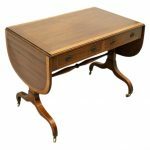 Beneath the top section there is a simple round moulding and a polished section. At the base there are 2 cupboards, with the original locks and there is a shelf inside. The doors have stylish flame mahogany panels and the same sunk beading as the top. The whole piece stands on enclosed plinth. The top of the plinth has the quarter beading which runs around the facings, the side and at the return. The bookcase has good colour and style. 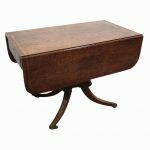 A quality piece of Edinburgh furniture from one of the most prominent cabinet makers of the period.